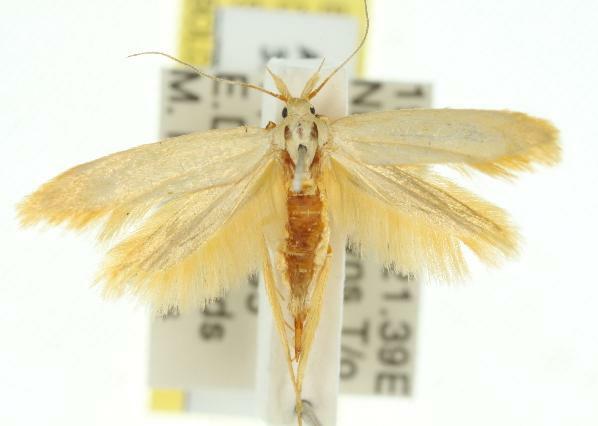 The adult moths of this species have yellow wings and everything, sometimes pale, sometimes dark. The wingspan is about 2 cms. Volume 42 (1918), p. 237.